Calling all map lovers! Looking for a planner that expresses your cartographic interest? This weekly planner for 2020 features a detailed section of a vintage USGS topographic map on the cover. Makes a great gift for the local history buff, too. Get organized with this Creative Fusion 2020 weekly desk diary and monthly calendar - Edition 1 Red Squirrel (by acclaimed international wildlife photographer, Gordon Ford)Alaska Snowy Owl, Alaskan Owls, Alaska, North American Wildlife, Raw Nature, Owls, Birds, Arctic Wildlife, Artic Owl, Arctic Birds, . Use this Diary in 2020 to plan your year and journal your experiences. As Americas last wild place, the Alaskan wilderness offers unsurpassed beauty, purity, and serenity. This isolated state features glaciers, fjords, and still unnamed lakes. It boasts wildlife in abundance and enjoys the Aurora Borealis in its colorful dance across the sky. It all makes for a wondrous refuge from the push and shove of modern life. 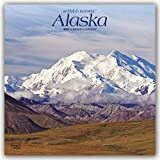 This spectacular square wall calendar delivers the remote wilderness of Alaska to you. Get organized with this Creative Fusion 2020 weekly desk diary and monthly calendar - Edition 5 Alaskan Eagle (by acclaimed international wildlife photographer, Gordon Ford) Alaskan Bald Eagle, Alaska, North American Wildlife, Raw Nature, Arctic Birds, Arctic Wildlife, Eagles, Birds, Wildlife, Raptors, Wild animals, . This is a unique two year planner to help you plan your cruises. Many people plan their cruise vacations one to two years out so this would be a great way to keep up with making payments, planning excursions, itineraries, packing lists, things to do and more. If you are an avid cruise addict then you will love to have a place to plan all your cruises in one convenient location. Look for my other cruise planners. This is a unique two year planner to help you plan out your cruises. Many people like to plan their cruise vacations one to two years out so this would be a great way to keep up with making payments, planning excursions, itineraries, packing lists, things to do and more. If you are an avid cruise addict then you will love to have a place to keep all your cruise information in one convenient location. Look for my other cruise planners in different themes and destinations. I also have themed cruise journals which are a fun way to document your cruise while on board.